Legrand’s latest development,Soluflex, is much more than just a raised floor. 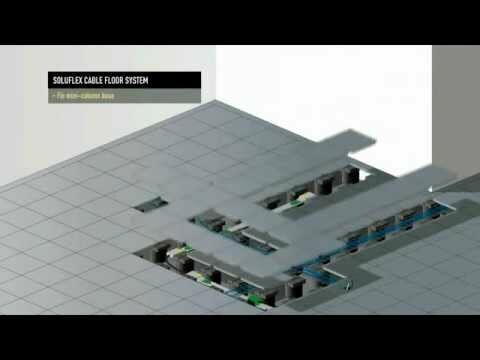 This innovative new system integrateslow-level flooring with Legrand’s market leading cable management solutions. All cables for power, data, andtelecoms can be structured in a logical, ready to use layout that remains hiddento end users. You don’t have to be a flooringexpert to install Soluflex. It’s simply a question of placing supports on thefloor and then clicking the durable steel tiles into place (without the needfor glue or fixings). Once the floor has been laid, therequired cabling and connections can be installed between the supports by removingthe relevant tiles until cabling is complete. The finished installation canthen be covered with any type of covering... carpet tiles, rubber, stone orwood. 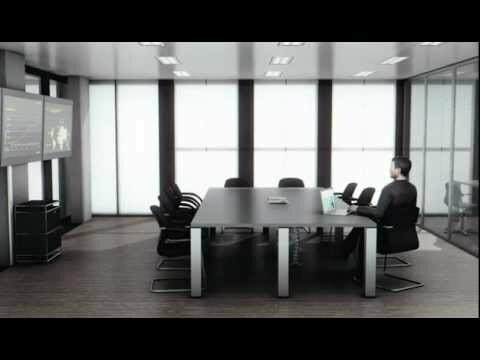 And if the office layout changes, or even relocates, Soluflex can be reconfiguredand re-used. polypropylene supports, Soluflexrequires nothing else for installation... no glue, no fixings.